opening day photograph of Showroom at Moulviganj. In the back ground are visible the entire range of furnishing and upholstery fabrics from vimal, part of the harmony range. 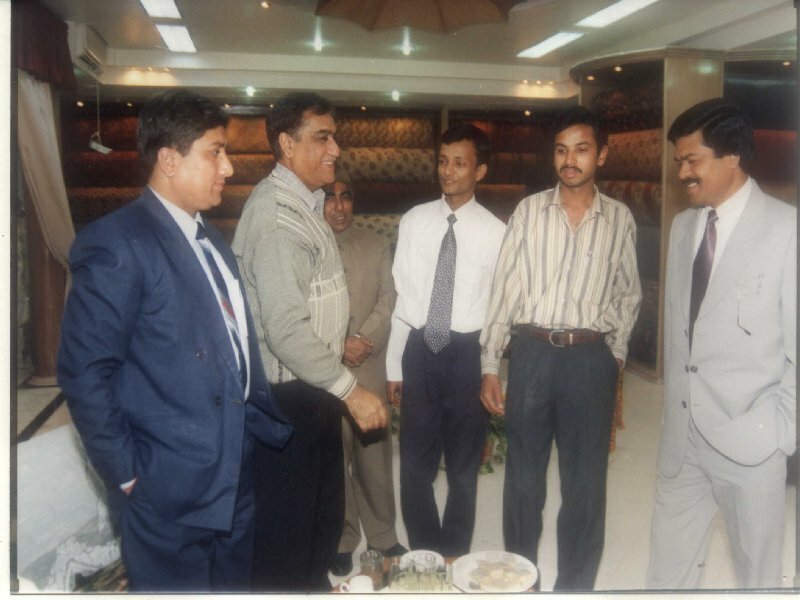 These include fabrics for sofas , cushions, drapery , seat covers and other furnishings.In the Foreground are Mr. Puri, GM Sales Reliance , who flew in from Ahemadabad to atttend the function and declare the Harmony Boutique open. The Architect of the project, yours truly is in the centre flanked by the proprietor and his son, while right corner Mr. Ashok Kumar , Senior Architect of Lucknow and proprietor of Arch en Design Centre, Lucknow also present for the opening looks on.